Mexico is one of those romantic places that is full of adventure, history and passion. 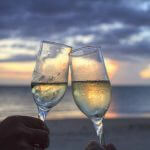 Spending Valentine’s Day in Mexico is a treat that both you and your significant other will remember for years to come. 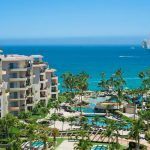 Mexico’s beach destinations are top of the list for an amazing Valentine’s getaway with places such as Puerto Vallarta, Cabo San Lucas, Loreto and Cancun topping the list of the most romantic destinations to spend Valentine’s Day. Lovers will find no end of spectacular sunsets in Puerto Vallarta, a city where the sun sets over the Pacific Ocean 365 days of the year. A sunset dinner on the beach is the perfect setting for a Valentine’s romantic meal for two or even a sunset cocktail before dining under the stars. Mexico is also renowned for its fabulous cuisine, so there is no end to the array of quality restaurants awaiting you for a special Valentine’s dinner. February is an excellent time to visit Cabo San Lucas as the whole area is teeming with humpback whales (and even orcas if you are lucky). Seeing these majestic mammals leap and dance in the waves is a spectacular sight and very romantic when chartering a private yacht. You are also sure to see dolphins and maybe even turtles and manta rays on a whale watching tour. Apart from the stunning Caribbean setting and turquoise waters of Cancun’s breathtaking shores, Cancun is surrounded by fascinating geographical wonders that lend themselves to romance and intrigue – cenotes. Cenotes are underground sinkholes that you can swim in or explore with diving equipment. They provide a magical setting and one that will make you feel like you are within the pages of a fairytale. 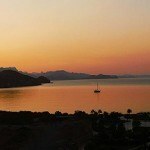 Loreto is a wonderful location for snorkeling and diving, with some amazing reef to explore and intricate diving sites. This natural aquarium will delight even the most experienced snorkelers and divers with its abundance of marine life and warm waters. Loreto’s town center is also a historical gem and a quaint place for a romantic dinner.